A key cannabis compound helped to reduce the number of drop seizures in patients with a severe form of epilepsy, newly published results of a clinical trial suggest. The study, published Wednesday in The Lancet, suggests that cannabidiol, alongside other anti-epilepsy treatments, reduced drop seizures in those who suffer from Lennox-Gastaut syndrome. Drop seizures involve sudden falls due to loss of muscle tone. Lennox-Gastaut is a severe, lifelong form of epilepsy involving frequent seizures and cognitive impairment. The syndrome causes about one to four per cent of childhood epilepsy cases, researchers say. In the 14-week clinical trial, the frequency of seizures was reduced in those who took a pharmaceutical formulation of cannabidiol. But researchers say the long-term efficacy and safety of the cannabis compound, as well its interaction with other epilepsy drugs, still need to be studied and confirmed. The Phase 3 clinical trial involved 171 participants from the U.S., Netherlands and Poland. The participants were between the ages of two and 55 and they had a variety of seizures, including drop seizures, over the previous six months. Before the trial began, all participants “were highly treatment resistant,” and had not responded to an average of six anti-epilepsy drugs, the researchers said. Eighty-six participants were given a daily dose of cannabidiol and 85 were given a placebo, alongside their usual epilepsy treatment. Throughout the 14-week trial, participants or their caregivers recorded the number and types of seizures they had each day, as well as medication use and adverse events. At the end of the trial, people in the cannabidiol group saw a 43.9 per cent decrease in drop seizures, from an average of 71.4 seizures per month at the start of the trial, to 31.4 per month at the end. Those who took the placebo saw a 21.8 per cent reduction in drop seizures. People who took cannabidiol also had fewer types of other seizures, and their monthly frequency of all seizures decreased by 41.2 per cent, compared with a 13.7 per cent overall decrease for those in the placebo group. 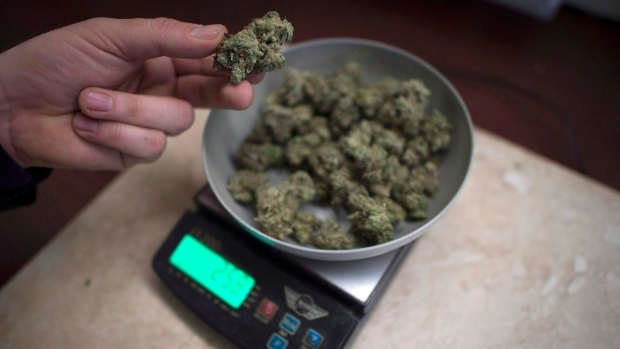 Among the study participants who took cannabidiol, 62 per cent experienced side effects. The most common ones were diarrhea, drowsiness, fever, vomiting and decreased appetite. Serious adverse effects were reported in 20 participants who took cannabidiol. Some of those cases included increases in liver enzymes that showed “no signs of lasting damage in four participants,” researchers say.